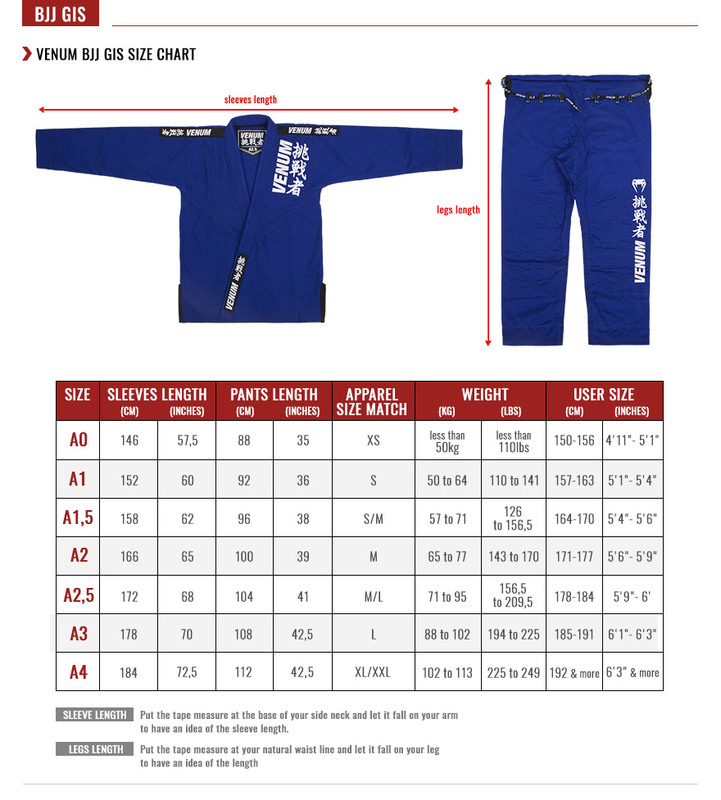 Built with the best Pearl Weave cotton on the market, the Venum “Challenger 2.0” Kids BJJ Gi provides comfort and resistance. This premium cotton fabric, coupled with the reinforced stitching, make this Gi’s ultra-durable, with an optimized moisture management and an upper resilience to the grips, the stress and frictions. Thanks to its lightweight 410gsm (gram per sq meter) fabric and its cotton pants, this Venum Gi’s will not restrict your mobility and will be easy to carry. Stylish details complete the sober design of this Gi’s making you even more confident proud to step forward at BJJ classes.